Buffdaddy Nerf: Adventure Force Super Storm Review - The "Baby Gargantua"
Adventure Force Super Storm Review - The "Baby Gargantua"
Among the many offerings in this year's water blaster crop is the Adventure Force Super Storm. 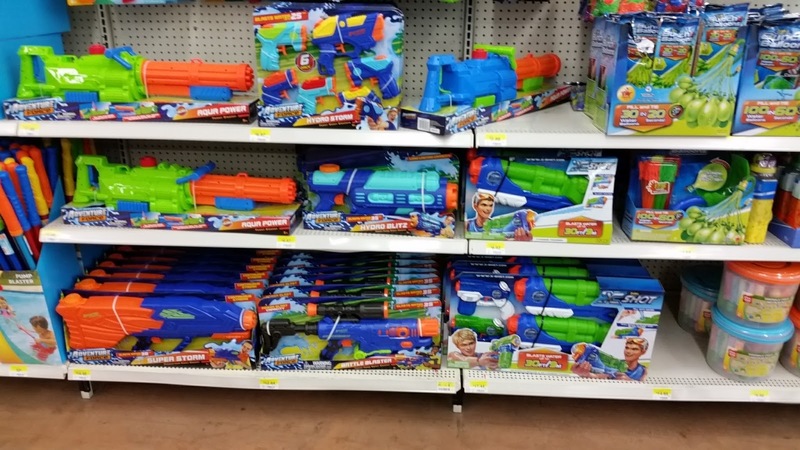 Available at Walmart, it is one of many blasters being produced by Prime Time Toys (the same company that makes the high-quality Dart Zone blasters). 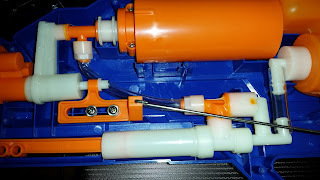 It's also one of the only Adventure Force water blasters with a working trigger - the other is a faux Gatling Gun made by Toy Things, which uses a simple pinch trigger. The Super Storm is the only blaster in this line I'll be reviewing, simply because of its potential - it not only has a working trigger, but it also advertises constant pressure (as per its online description). 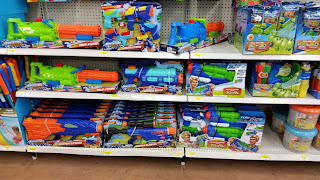 In fact, if I knew nothing about blaster styling, I would swear that it was a Water Warriors blaster. And that's a good thing! The Super Storm has a somewhat narrow body, but devotes the entire rear half of the shell to the reservoir (which is molded very nicely into a shoulder stock). It does in fact hold the advertised 68 oz. of water. 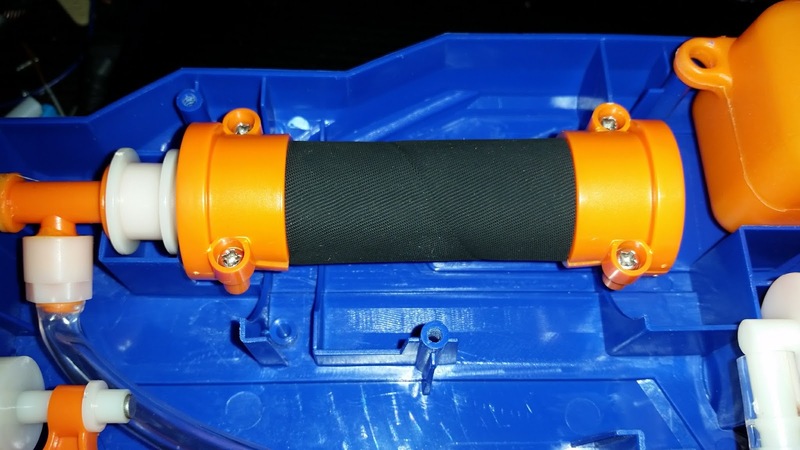 The pump handle is sturdy and adequate; people with larger hands may find their pinkie fingers short on space. There are three settings on the nozzle: thin stream, medium stream, and a four stream flood setting. With the shell opened up, we can see the CPS tech sitting inside the Super Storm. The pressure chamber fires roughly 80 mL of water per shot, as per a day's worth of testing. 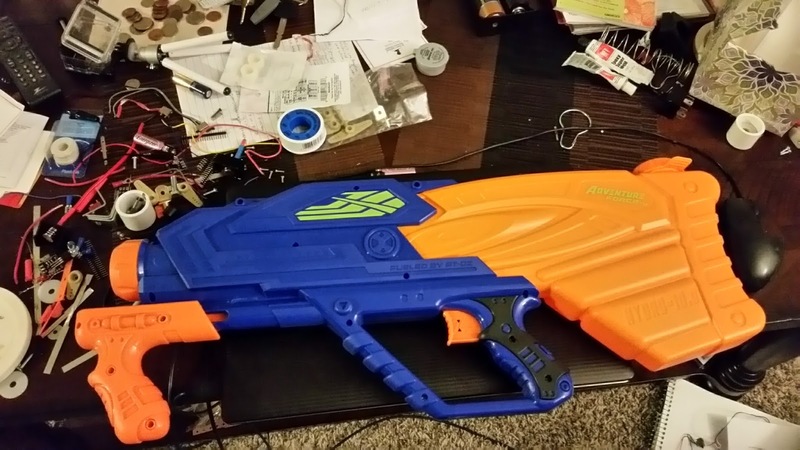 In essence, we have a Buzz Bee Gargantua with half of the chamber capacity. Shot times are therefore limited. On the plus side, you have nearly twice as many shots to take before needing to refill the reservoir. The pump, as it turns out, is rather on the small side. Adding up the pump diameter and draw gives us about 8.8 mL of volume. It's a rather small amount of water to be moving on each stroke. 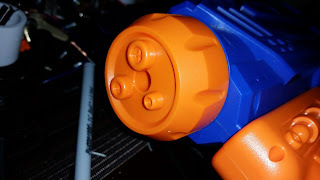 There is very little pump lag, however, so the strokes needed for a full firing chamber happen quickly. 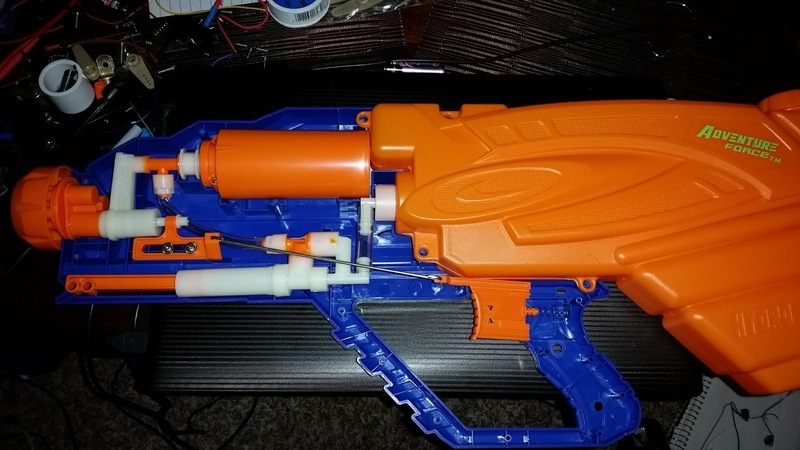 There is one noticeable issue with the trigger. Once you pull it, the valve refuses to close until the firing chamber is empty! This is a small issue since the shot times are already short, but it's still annoying that if you miss a shot, you are forced to lose the entire shot. It's simply a matter of the trigger valve having too large a surface area! Put it another way - sure, there may be a spring holding it closed at first, but once you start opening the valve, it behaves like a piston valve and moves all the way back, letting out all of the pressurized fluid. Only after the chamber is empty can the spring once again close the valve. In testing, I was easily hitting 40' angled ranges with the medium stream setting. Even when firing flat, I was passing 30'. The narrow stream had a few feet less range, as did the flood setting. 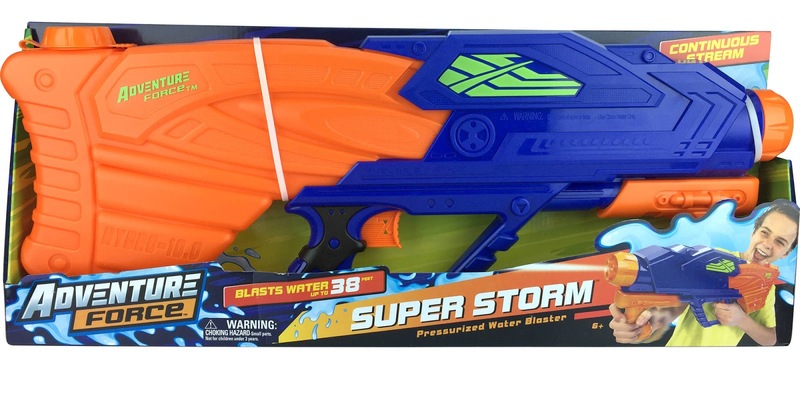 Overall, the Super Storm is a fine addition to any modern water blaster collection, and for $16.88 is a great entry on the part of Prime Time Toys. In the modern era of soaking, Buzz Bee Toys has been the best. Why not emulate them? Have a natural attraction for women cosmetics and rolex replica clothes, no more than two for men the most attractive one, is to make their own driving experience, happy and can serve as the facade of the car, another is to highlight the taste edify sentiment rolex replica. The replica rolex is undoubtedly the most fashionable accessories, wear a suit to attend the activities, but also get a decent match on the rolex replica. 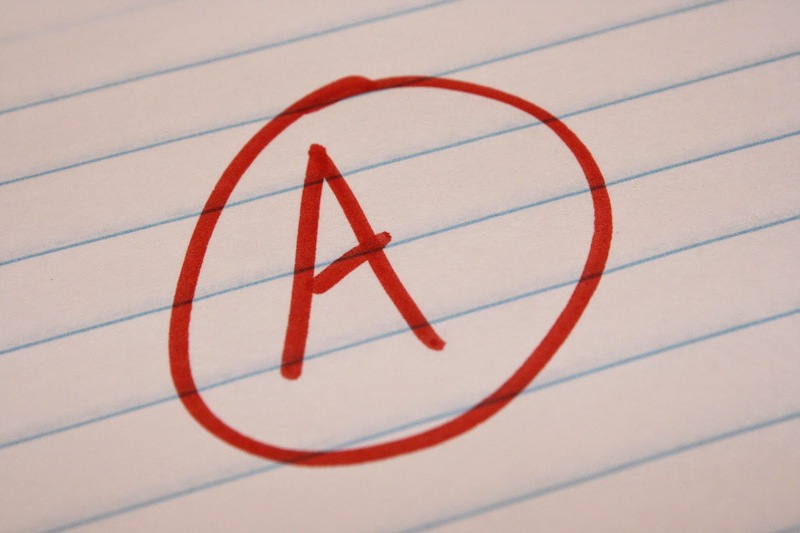 Thanks for sharing such an interesting post with us, keep sharing! !